The District of Columbia has been rewriting its very-outdated zoning regulations (last updated when Eisenhower was president) over the past few years, and we at Boneyard Studios have been ardent supporters of the project since our founding. In tours and testimony, to press and patrons, we’ve spoken of the need for our cities to do more to support affordable, reasonable residences. And for the most part, it’s been working. What will the rewrite do? The Coalition for Smarter Growth has a great write-up here. For one, it’ll loosen up unnecessary and expensive and space-inefficient parking minimums around new developments. It’ll also relax the ban on corner stores, allowing for more walkable, community-minded neighborhoods throughout the District. And most closely to our hearts, it’ll take one (small) step forward in permitting more affordable and space-conscious dwellings like accessory dwelling units, carriage houses, and habitable basements. What will it do for even tinier houses? Little, if anything. 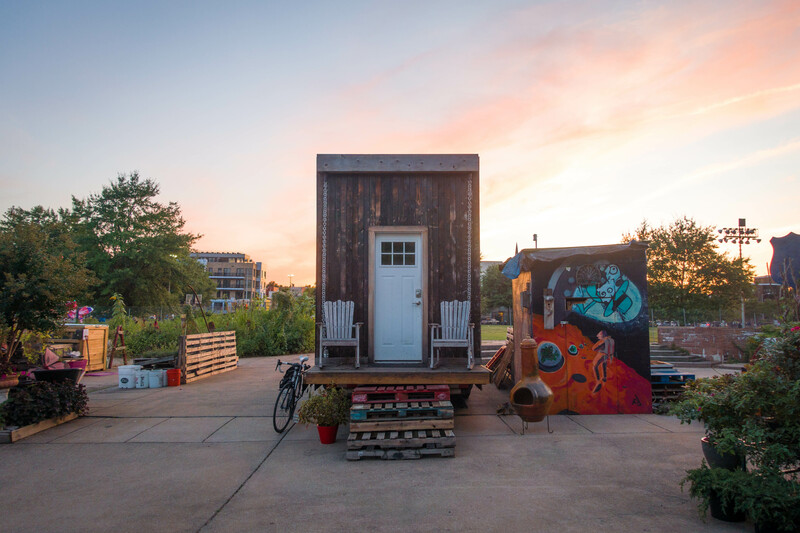 Tiny houses aren’t illegal in the District of Columbia, and though those choosing to reside in them aren’t given the same rights as those living in larger-footprint homes (like tax benefits or a certificate of occupancy), neither DC’s current code nor the rewrite would criminalize where one chooses to spend their days or evenings with permission of the landowner. It would establish and protect, as a matter or right, “camping” of an alley lot owner in a structure on her own land, yet prohibit open fires or camping for more than one month per year—odd, as these are already protected as a matter of right for any landowner in the District (pursuant to the fire code, of course). It would also grant, as a matter of right, the construction of code-compliant foundation-built small houses in alleyways (ignoring tiny houses on wheels, as they’re considered travel trailers under zoning regulations). But it’s not all perfect. Deeper in, Subtitle U/601.1(a) vaguely criminalizes homelessness by prohibiting sleeping or loitering on vacant property (yet still allows camping as a matter of right when the property owner is in the loop). And /601.1(c) sets some oddly specific parameters around truly residential use in alley lots—not a problem for Boneyard Studios’ more mobile tiny houses on wheels (both of which are currently on private non-alley property with the owners’ permission), but still a tad restrictive for our liking. Certainly the changes are better than the initial rewrite revisions, but for others looking to cultivate creative urban infill in our great city, they may be a bit too cumbersome. In other words: this doesn’t directly impact Boneyard Studios, but it may directly impact you. And truth be told, it’ll indirectly impact us all. DC’s alleyways are its hidden gem, its flowing capillaries, and we at Boneyard Studios want to see more of them put to good use. We’re for safe, sustainable development, and we’re happy to see some really great changes to DC’s zoning taking place. If you’re a DC resident, we don’t want to tell you what to think, but we do want to urge you what to think about. Take a look for yourself at Subtitle U and whatever other bits of the regulations review is dearest to your heart, and drop a comment in the sidebar wherever you agree or disagree. But do it soon, because the comment period ends September 25th! 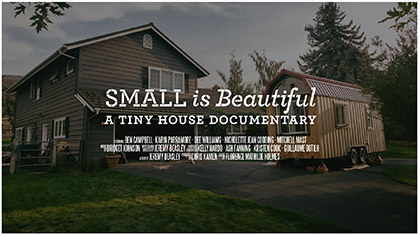 Want to see a tiny house for yourself? Come on out to the DC State Fair this Saturday (September 12th), where we’ll be giving tours of the Matchbox every hour on the hour from 1PM to 6PM. That’s a lot of tours for a little house. I often start off my introductions by stating that I never wanted to build a tiny house. People chuckle and, a bit incredulously, ask “What do you mean you didn’t want to build one? I can hear the confusion in their voice, and I understand. After all I spent the last three years of my life building a tiny house and a tiny house community. Yet I wasn’t like many of the tiny house DIY builders that I know. Sure, I got excited about the design, but I wasn’t all that interested in learning how to build: I had never even held or operated a drill and driver before starting this project, and I certainly didn’t know what a rainscreen was or what PEX meant. What excited me more than building the house was doing something creative in an urban area to challenge us to think more intentionally about the way we live our lives and about what we can do with unused and vacant spaces. So no, I didn’t really want to build my own house, but I ended up having to because when I started this project there were no fully-built tiny houses to buy and there were very few plans available. Fast forward three years and more than three network TV shows, and it seems everyone has caught tiny house fever. 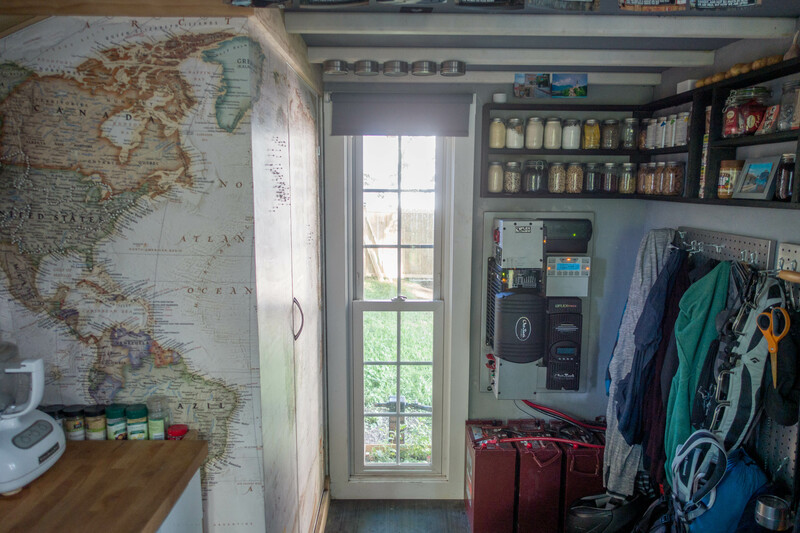 I no longer have to explain to people what a tiny house on wheels is, I can’t keep up with all the different builders, groups, blogs, and shows out there, and what was once seen as a fringe (and tiny) movement has grown into an (almost) mainstream industry. Given the numbers at the Tiny House Jamboree last weekend you could argue that tiny houses are already a mainstream industry. 40,000 people came pouring into the grounds outside of Colorado Springs to tour more than 25 houses, to learn about different technologies for off-grid living, and to listen to many of us who have already taken this tiny house journey speak about our experiences. One of my new favorite builders: Byron of Simblissity Tiny homes along with Alec Lifeski of the Tiny Project and Vina Lustado of Sol Haus Design. I must admit I was a bit suspicious at first. I think anyone who has been part of a small community or movement feels a bit excited but also protective when it enters the mainstream. I wondered about the integrity of people who are now tiny house TV celebrities. I didn’t fully trust the motivations of businesses who were springing up nationwide to build tiny houses. Were these folks really passionate about the reasons we build tiny houses? Challenging people to address overconsumption, take control of their finances, live intentionally, learn to communicate and be present without distraction? Were they committed to changing an industry that builds bigger because it’s cheaper? Or were they just jumping into this movement because it would increase their ratings and profits? After a weekend spent with builders, both DIY and professional, I am humbled. I didn’t meet anyone who was purely in this for the money or the popularity of it. I shared a panel with Zac Griffen of Tiny House Nation and he started off asking the audience to please not ask him questions about the TV show and then proceeded to give some of the most eloquent answers on sustainability, intentional living, and responsible design of the whole event. Darin Zaruba of EcoCabins, whose company hosted the event, was passionate about making sure DIY builders knew about code and zoning and the challenges they posed. And, upon meeting other tiny house builders who I had only before corresponded with online, any lingering fears I still had about small living and never quite being understood by others quickly vanished. I hadn’t realized how much energy I expend explaining my choice to build a tiny house to people until I didn’t have to explain it anymore. They just got it – they too had all built their own houses before tiny houses gained popularity. They too had to justify to their friends, family and colleagues why this lifestyle was important to them. Not having to explain myself and my decisions after three years of so much explaining was perhaps the most refreshing aspect of the whole weekend. 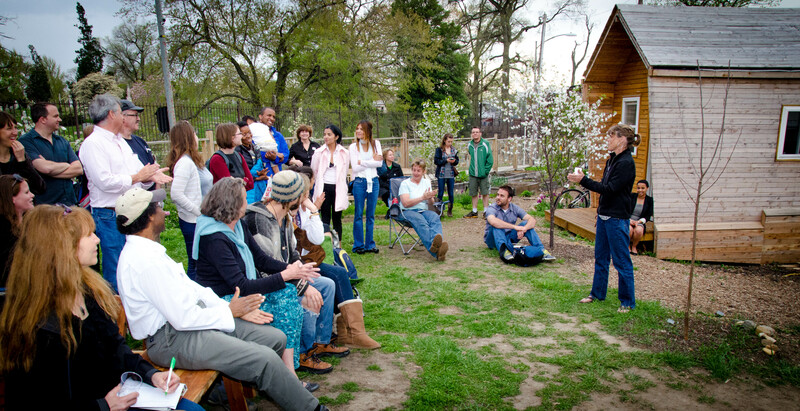 What I most enjoyed after the new connections with other tiny house builders was getting to talk to others about building tiny house communities and creative urban infill – my real passion. Lina Menard and I presented a very-well received talk on tiny house communities that included 5 models for setting them up and 5 pieces of advice. After our presentation I talked with a city councilmember, a county planner, developers, and members of community groups who are starting tiny house communities. I was impressed by the amount of work going on around the country regarding tiny houses and tiny house communities in cities. Stay tuned for more information regarding those initiatives soon. In the meantime, check out some of the photos from the Jamboree. My favorite house at the event was this one by Rob Irwin of Modern and Tiny, complete with a rock wall to the loft, a recording studio, chicken coop and aquaponics system! 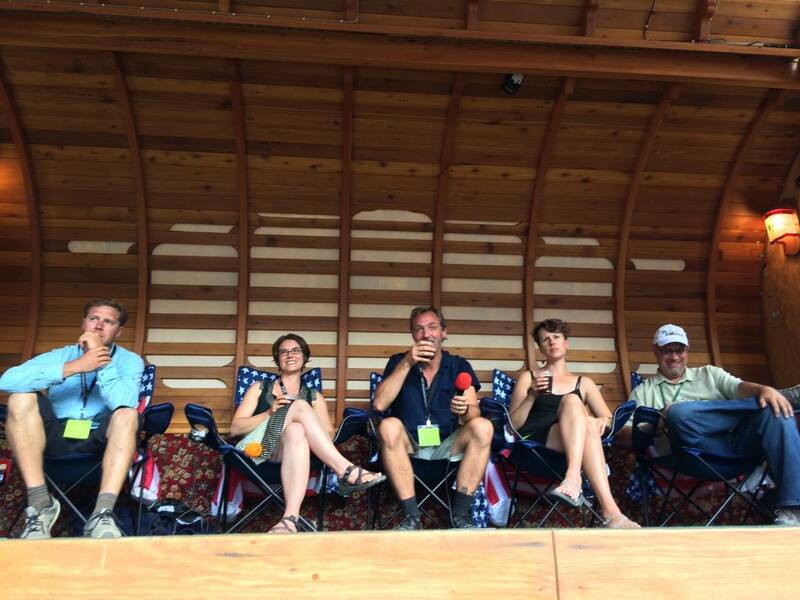 The best speaker stage ever – in the backyard bandstand wagon! I shared a booth with the lovely Vina Lustado of SolHaus Design. She and her house were famous at the jamboree!